If you sign-up to our newsletter by 25th May 2018 you could be in with the chance of winning an overnight stay at our award-winning Hart’s Hotel. 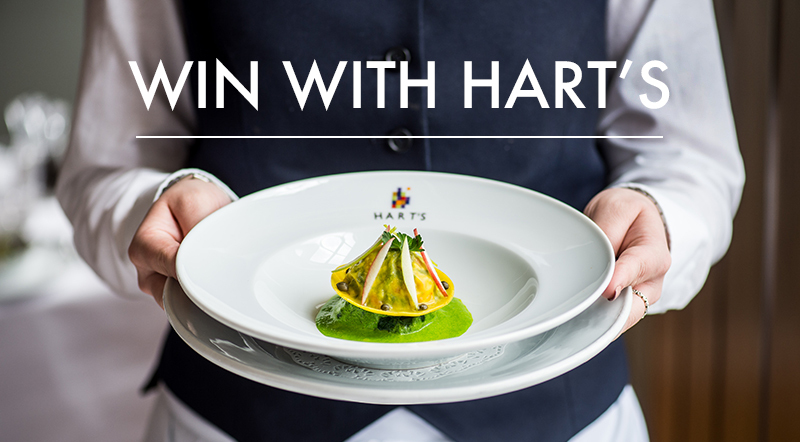 Prize will include breakfast and a 3-course dinner for two people at Hart’s Restaurant. Winner will be chosen at random and contacted via email by 4th June. Prize is non-transferable and a cash alternative is not permitted. Drinks are not included and must be settled on departure. The winner must respond within 72 hours or another winner will be selected. By accepting the prize you give permission for your photo and name to be used on social media to publicise the competition. Prize must be taken by 30th November 2018 and date restrictions apply. The competition is not open to Hart’s employees.